Please indicate the days and times you are normally available to volunteer in the boxes below (e.g. Wednesday: AM; Saturday: All day). 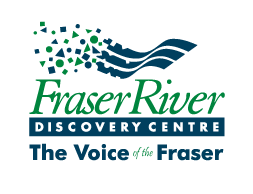 Please provide the details of someone we can contact in the unlikely of an accident or illness while volunteering at the Fraser River Discovery Centre. The Fraser River Discovery Centre is committed to protecting the privacy of all personal information you share with us. We do not rent, sell or share our lists. The information we collect is used to process volunteer applications and to keep you informed about the Fraser River Discovery Centre.